Monte Vista is Spanish for Mountain View and this area truly lives up to that name. It is located in the heart of the San Luis Valley and is surrounded by mountains. Towards the west you have amazing views of the San Juan Mountain Range and the Sangre de Cristo Mountain Range on the east. Even though it is a small town, it does not lack in character. There is much to see and do as well as excellent places to eat. The Vali 3 Theater, located on Adams Street, is the only place for movies, but during the summer there is also the Star Drive-In. Most people feel that drive-ins are a thing of the past, but not here. The drive-in has two screens so they are able to show two different movies at the same time. Movies change every Thursday night at both the theater and the drive in. If you love motorcycles then you do not want to miss the annual Rally in the Valley. It is held every year on the 3rd weekend in June. Rally in the Valley is a fundraiser for the town and has events such as a pool tournament, 3 on 3 basketball, and a motorcycle group poker run. Another great event that happens at the end of every July is the Ski Hi Stampede (pronounce sky)Rodeo. It is Colorado’s Oldest Pro Rodeo. The rodeo is held every year during the last week of July. The festivities include parades, a carnival, a concert, and rodeos. This is something you don’t want to miss! The only pool in the town was closed down a few years ago, but for a great swimming experience I would highly recommend the Sand Dunes Swimming Pool. Even though it is about a 45 minute drive from Monte Vista it is well worth it and it is open year round!! In September the Potato Festival is held. It is free to the public and allows people to visit a farm and watch potato harvest up close. There are also free baked potatoes, a potato cook-off, and lots of activities for the kids. There are two museums in Monte Vista. The Transportation of the West Museum and the Veterans History Center Museum. The Transportation of the West Museum showcases over 1,500 black and white photographs of the town in its early days. It also houses several types of transportation that was used to shape the west. The Veterans History Center Museum is located at the Colorado Veterans Center Homelake which is the oldest Veterans Center in Colorado. The Museum has displays pertaining to military and veterans artifacts that are from several wars, including the Civil War. We highly suggest you take time to see this Museum as a way to honor and respect the past and present military who serve and protect this great country we live in. 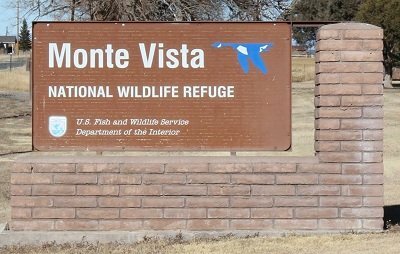 The Monte Vista Wildlife Refuge is one of the areas main attractions. It is located just 8 miles south of the town and it is a sanctuary for migratory birds. During the winter a large herd of elk call the refuge home as well. 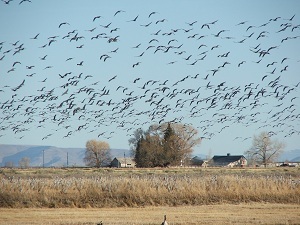 Twice a year over 20,000 Sandhill Cranes stop in the San Luis Valley as they migrate. 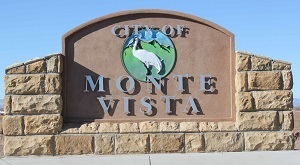 The Monte Vista Crane Festival, held every March, celebrates this unique experience with a large list of activities. There are wildlife experts, local naturalists, and biologists that give presentation workshops. Bus tours take visitors to the wildlife refuge as well as farmlands to provide them with an up close experience of viewing the cranes. There are also special tours such as a sunset trip to view the Sandhill Cranes. There is also a craft fair where you can literally find anything made in the shape of a crane. As you drive around town and the surround areas it is very important that you keep a sharp eye out for horses and buggies! 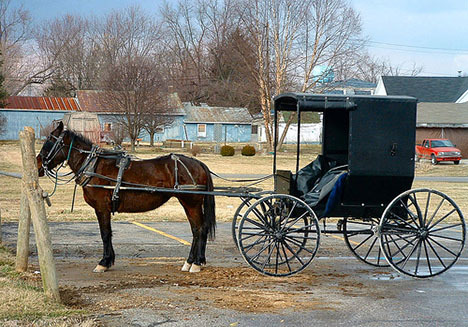 There are a growing number of Amish communities in the area. Due to their beliefs they do not use many modern technologies, hence the horse and buggy. They also do all of their farming by hand and it is quite an experience to watch. Makes you feel like you stepped back in time. Please respect these people if you see them in town or on the roads. The land surrounding Monte Vista is mainly all farming. The farmers raise potatoes, grain, alfalfa, lettuce, and carrots. The planting begins in the spring and harvest is usually finished by mid October. It is important to be very aware when driving through the country as you will see large trucks and tractors on the roads as they move from field to field. It is a great place to capture unique pictures of an entire potato field in bloom, an airplane spraying a field, or any part of harvest. Coors Brewery receives a large portion of grain (to make beer) that is grown in the San Luis Valley. Monte Vista is a great place to visit and see the sights. If you have lots of time, visit the areas other attractions such as the Great Sand Dunes National Park, Colorado Gators, and Zapata Falls.